Jen and Sylvia Soska discuss bringing their dramatic talents to Natasha Romanoff’s latest adventure. After the past few years, Black Widow needs to cut loose. She's taking a trip to Madripoor to burn off some of that rage, where filmmakers-turned-comic-writers Jen and Sylvia Soska have provided her some incredibly deserving targets in the pages of BLACK WIDOW. With hard-hitting films like "American Mary," "See No Evil 2," and "Vendetta" on their resumes, it should come as no surprise that the Soska Sisters have major plans for the Marvel Universe's number one superspy that will get her back to her roots. Joined by artist Flaviano, the series will see the lengths and depths Natasha will go to not only save innocents, but also release some of her pent-up aggression. We talked with the Soskas about their longstanding love of Marvel comics, cutting Nat loose, and remembering the big heart that drives her. Marvel.com: You two have a long history of writing and directing your own projects. This isn't your first foray into the medium, but how has it been making the transition to writing comics? Sylvia Soska: I have to thank Jake Thomas for showing us the ropes. He's been the editor at Marvel that took a chance on us. Lauren Sankovitch introduced us at SDCC when we got attached to "Painkiller Jane" [based on a series created by Jimmy Palmiotti and Joe Quesada] a few years back and we just gushed about the comics. Those stories are what we grew up on, so getting to be a part of that is surreal. We started with a ten-page story in their SECRET WARS JOURNAL series with a Night Nurse story. Short format teaches you to respect each panel for each beat -- don't waste a moment. After three successful short stories for Marvel, we wrote a few pitches for characters, and Black Widow was the one that got the green light. Jen Soska: It's been incredible. There is so much more creative control when you write graphic novels. You don't have to take into consideration budget or safety and every shot/panel can be altered to be exactly what you want. It's a liberating experience. We grew up reading Marvel, and to be working for them now is really a dream come true. Those books had a big effect on my growing up. Marvel.com: It sounds like you have a history with comics and great respect for them. Can you talk a little bit about what drew you to working in this artistic medium? Sylvia Soska: My grandmother got us comics when we were nine. It was part of our adventures in our neighborhood together. They had great moral lessons that I never noticed initially because Super Heroes were just so darn cool. We would get in trouble reading them in class, but now I'm happy to see the medium get the proper respect that it deserves. The most wonderful thing about writing in comics, you hear a lot less “no” than in film and television. You don't have budget restrictions -- your imagination is truly the limit. It's the most freeing artistic experience. Jen Soska: I'm a big supporter of comic books and video games. Films and television are often productions made by "juries." Everyone gets a say, often just to have a say and leave their mark on the thing. In comic books it's a much more creator-driven medium. They also are places where powerful stories can be told. They have the courage to tell more real stories than most mediums, and I respect the hell out of that. Our Black Widow story tackles some of the most uncomfortable real-world issues out there. I know that story is important to be told. I would not have been allowed to tell this story in a film. Marvel.com: Natasha seems like she's right in your wheelhouse as a strong, tough woman with her fair share of darkness. Was that a big draw to work on the character? Sylvia Soska: Jake said he thought we would be a good fit for Nat because our rage is similar. I agree. I enjoy to explore the nature of life and death, the abuses of power, the monsters that walk this Earth -- I have never written a story like this with someone who is so capable of defending herself out of the gate. A lot of people reached out when they first heard about who we were coupling her with, but that's not the point of the book. Nat has some very real feelings about the life that has brought her to this point. She can't change the past and save herself. All that she can do is use her unique abilities to stop it when she encounters that kind of brutal torture again. Jen Soska: Absolutely. I feel like Nat has been holding back and playing nice for so long that people forget she's one of the deadliest women on the planet. Getting her to break bad again, in a way, was exciting for us. Again, we grew up reading her adventures (I loved her with my boy, Matt [Murdock]) so Nat is a very real person to us. Marvel.com: The past year or two have been rough on Natasha. She fought hard against the faux Captain America only to die by his hands. How have those experiences changed her? Sylvia Soska: Hell hath no fury like a woman scorned. The Black Widow keeps a lot to herself. She's got so much bubbling under the surface right now that she could literally explode. Putting her in a team-up with Cap fighting a copycat Cap just serves as a reminder of everything that just happened to her. Despite the content and the story, it's a very soulful story. It has big, genuine emotions where you wouldn't expect them, which is very much in Nat's personality. Jen Soska: She's not happy about it, that's for sure. Nat did things "their" way for a long time and where did that get her? Dead. And worse off than dead, realizing she had all her memories uploaded back to a clone -- and it wasn't the first time. She's been used and abused, and she's not going to take that lightly. She trusted Steve. Now it's hard for her to look at his face. He's on her mind. Nat full well knows Steve has changed, too. He used to kill, he fought in WWII, and he sure wasn't tying them or any Hydra agents up, but with his name in the mud he's adamant to be the good guy and Nat is straight-up done putting on appearances. She feels lethal. 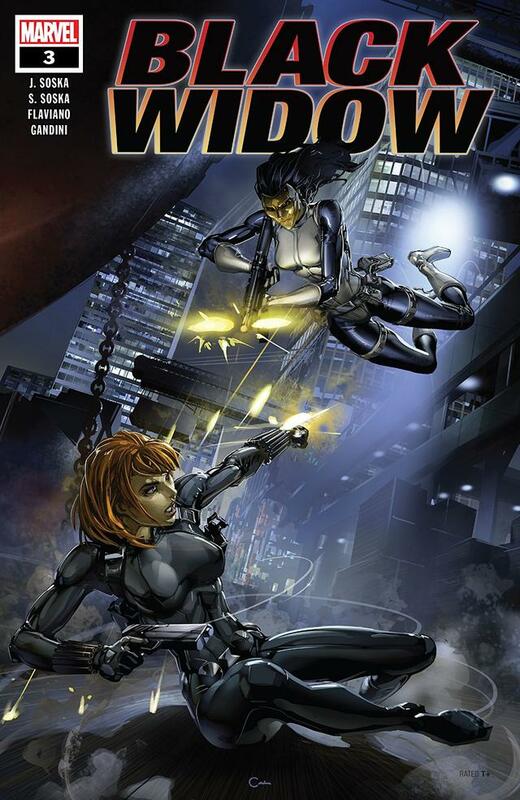 Marvel.com: As the series progresses, Black Widow takes a trip to Madripoor. What brings her there, and how fun is it playing in such a dark corner of the Marvel Universe? Sylvia Soska: We actually thought Madripoor was a real place and wanted to visit. This is the only way we really can! With the type of killer mood Widow is in right now, she's looking for the very worst people because she wants them to be deserving of her blood lust. Essentially when we were told we could pitch for Widow, we thought, "If Widow was here right now and could clean up any mess, what would be the best?" The story just grew from there. Jen Soska: I love Madripoor! Anything goes. Nat is looking to unleash some rage on people no one would miss, and Madripoor is the perfect place. It doesn't take her long at all to attract all the wrong kinds of attention. She brings out the closest thing they have to law on the island, Tyger Tiger, who is actually in dire need of someone with Nat's specific skill set. There is a child trafficking ring with victims appearing in torture videos for the world's sickest to enjoy online. You may guess that Black Widow is pretty pissed off given her history of abuse and her massive heart which people forget about. Nat would lay her life down to save lives. Marvel.com: How has it been working with Flaviano on the series so far? Did you all talk about altering the costume at all in bringing Nat back? 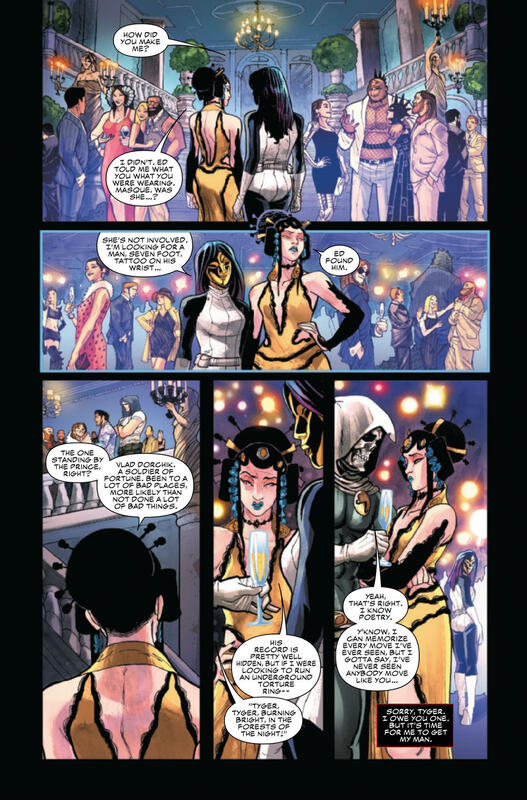 Sylvia Soska: I wish we could work on this book with Flaviano forever. It has been the most wonderful experience. The fashion is all him. We cannot take credit for his brilliant expressions and micro mannerisms, the way he brings Nat to life is spectacular. We write the descriptions and the story, but Flaviano is the one who brings the Widow to life from those pages. He's one of the best in the business and his style in undeniable. Jen Soska: AMAZING!!! Flaviano is so talented! WOW. It's been a dream. His artwork brings the story to life and he really gets the tone. Nat's expressions, body build, outfits, hair styles... they're all to die for. His island of Madripoor when Nat first arrives is magnificent. He is so collaborative. I love how he draws Nat in action, too. So badass. As she is. 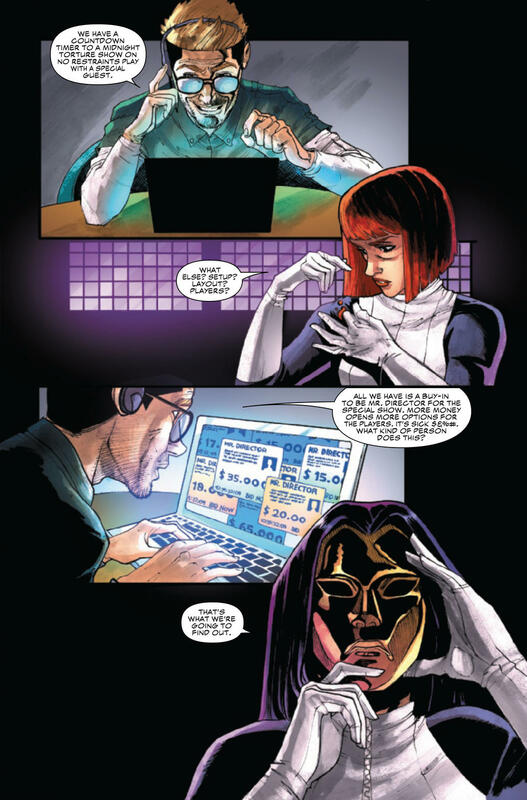 BLACK WIDOW #3, written by Jen and Sylvia Soska with art by Flaviano, is on sale now online and at your local comic shop!